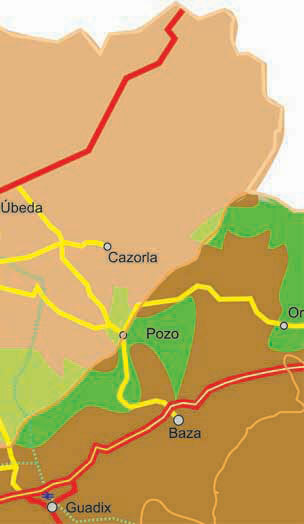 Also known as Carretera de Andalucia and which connects Madrid with Cadiz passing through Seville and Jaen. Old national road that ran from Bailen to Motril through the cities of Jaen and Granada. Today it is a highway. 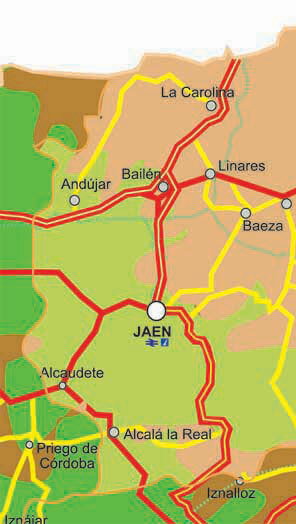 This road joins Bailen with the county of Requena in Valencia passing through Albacete. This highway still under construction will connect Linares will Albacete. When driving from Malaga to Jaen, we recommend taking the A-92 to Granada, and depending on whether you go to Sierra de Cazorla or Jaen city, take one direction (A-44 for Jaen) or another (A-401 for Cazorla).